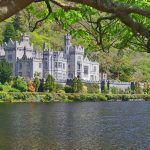 This university city in Ireland is not only a home for many international students but a lot of alluring attractions can also be found here. For starters, there’s the Cork Opera House, Shandon Bell, and Blarney Castle to give you a good impression of the city. 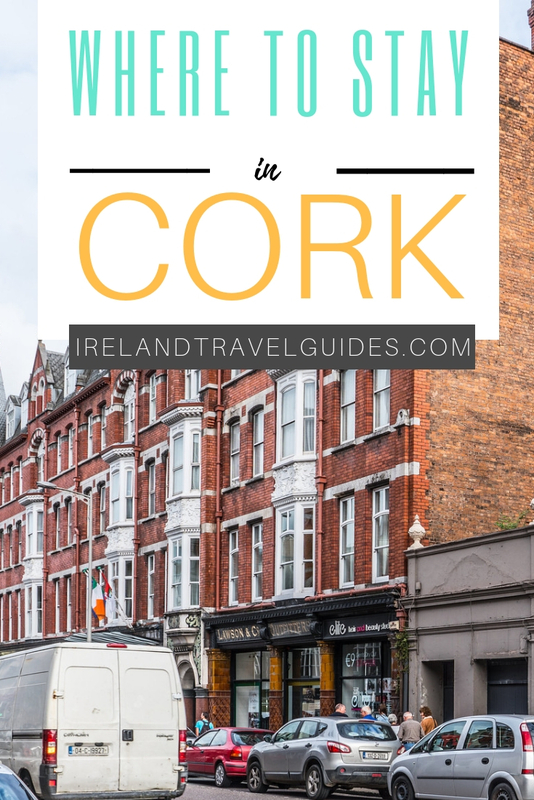 If you want to experience Cork for a few days or so, here’s a list of where to stay in Cork. Rate per night starts at $88. Rate per night starts at $176. Cheap dormitory rooms with a bright and lively atmosphere are what makes Kinlay House Hostel. Guests could enjoy a walking distance from the Cork English Market as well as the Cork Opera House. Kinlay House is one of the most flexible accommodations in Cork. It has a variety of rooms to choose from. They have private standard rooms for those who want to enjoy a room for themselves. If you want to stick to your budget, they also have dormitory rooms offered at a cheap price. A 12-bed standard dorm room costs $18 per night. For the latest rate, click here. Sheila’s Tourist Hotel is a budget-friendly and tourist-friendly hotel in the heart of Cork. If you want to save from a costly room but still want to get the most of Cork, this hostel is a good choice. Sheila’s Tourist Hostel is close to the city center. 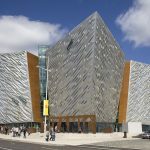 It is just a short walk from St. Patrick’s Quay and Cork Opera House. It has group-friendly facilities too and activities for recreation and relaxation like sauna and movies. Dormitory rooms cost $18 to $22 per night. If you want a good value for your money, Oscar’s Hotel is a perfect choice. Its location and hostel facilities are designed perfectly for their guests who are always “on the go”. Oscar Hostel has secured rooms loaded with a range of facilities. The hostel also has a modern shared kitchen, 2 TV lounges, and 2 common rooms for board games and pool. The hostel’s location is also ideal for tourists who want to explore attractions in the city center. Bunk bed costs $28 per night. Strategically located in the heart of Cork, Blackmore Court is also one of your best choices. 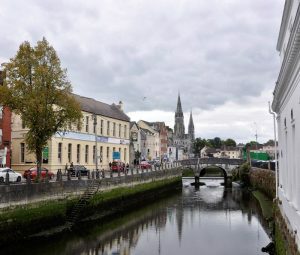 Blackmore Court is located in a tourist-friendly spot in Cork where the English Market is only a 5-minute walk, River Lee is only a 2-minute walk, and the St. Finn Barre’s Cathedral is only within a 15-minute walk. 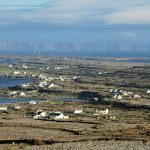 If you want to explore the neighboring cities from Cork, you can also easily access the main highway from this hotel. Rooms and bathrooms are squeaky clean too! Rooms start at $47 per night. Ashley Hotel offers security and good value for your money. If you’re looking for cheap but spotless rooms, you don’t want to miss this hotel. Ashley Hotel offers budget rooms without compromising the security of its guests. They have secured on-site parking area and CCTVs all over the vicinity. Guests can also enjoy a cup of beer and stout in the ground-floor bar. If not, you can also walk to the English Market or Cork City Harbor. Triple rooms are $45 per person. 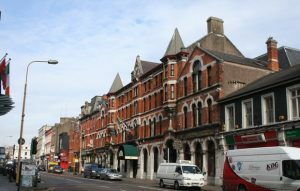 First on the list of mid-range hotels in Cork is Hotel Isaacs which is one of the best value accommodations in the city. Check out its affordable spacious rooms. Hotel Isaacs is a boutique hotel that offers mid-range rooms for guests who want to stay close to the city center. The English Market and Shandon Steeple are the closest attractions from the hotel but bus stops leading to other parts of Cork are also nearby. Each room has a full kitchen and a private bathroom. Rooms are available from $80 per night. If you’re looking for a decent and mid-range hotel close to the airport, Travelodge Cork offers awesome services. Be sure to check out their rooms. This mid-range hotel offers an American-style on-site restaurant, Rockin Jes, a 24-hour reception, and free parking for its guests. It also has a departures/arrival screen for Cork Airport which is just 3 miles away from the hotel. Rooms are usually priced at $64 per night. Killarney Guest House has what it takes if you’re looking for good value accommodation in Cork. Overlooking Fitzgerald Park, this hotel has rooms that you surely don’t want to miss. This guest-house is a family owned property where guests can enjoy a bedroom with a private bathroom. Each room has a TV, hairdryer, and other basic necessities a guest would want to have. A breakfast buffet is also available daily. Killarney Guest House is located 10-minutes away from the city center. Stay Cork is a mid-range condo hotel 15-minute away from the airport. This hotel is one of the best accommodations in Cork. Stay Cork is a condo hotel which offers studio apartments, one-bedroom apartments, and two-bedroom apartments. Each room comes with a private bathroom and other basic necessities. 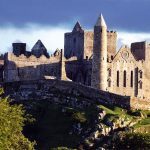 Around the area, you can find a lot of attractions as well as the buzzing nightlife spots in Cork. If you’re looking for a luxury hotel with a beauty spa and an elegant restaurant, Hayfield Manor is the perfect accommodation for you. They have a variety of luxurious rooms fit for royalties like their guests. The bedrooms are not only fancy but the toilets as well. The rooms also feature a flat-screen TV and an entertainment system. If you prefer a relaxing afternoon, the hotel also has a pretty garden for afternoon walks and beauty treatments in its spa. Guests can book a Master Suite for $1,500 and a Manor room for $312 per night. The River Lee Hotel is perfect for guests who are looking for luxurious experience in one of the top-rated spots in Cork. This hotel features spacious rooms with floor-to-ceiling windows decorated with fresh light colors and modern fabrics. Guests can also dine in three of the most popular food hubs in Cork— The Grill Room, The River Club Bar, and Terrace. Rooms start at $170 to $280 per night. Guests who love to stay close to the airport and enjoy the country-side view at the same time will definitely find this hotel heaven-sent. Located directly opposite Cork Airport, Cork International Hotel has 140 luxurious bedrooms and various dining options like The New Yorker Bar & Bistro, The Atlantic & Pacific Restaurants, and a 24-hour room service menu. Meeting rooms and a big ballroom hall is also available here. Guests can enjoy these luxurious rooms starting at $118 to $157 per night. 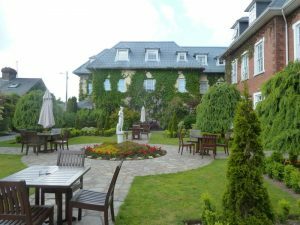 One of the highly-booked luxury hotels in Cork, Castlemartyr Resort Hotel is perfect for vacations, weddings, and even corporate events. 220 acres of the stunning ground make up this luxury hotel in Cork. It is every guest’s dream destination for a luxurious trip. Guests here can enjoy the countryside view and the state-of-the-art facilities of the hotel. Dining is also fancy here where guests can dine to their heart’s content in The Bell Tower, one of Cork’s award-winning restaurants. Rooms are from $170 per night. Want to enjoy luxurious accommodation close to nature? Fota Island Hotel and Spa has the perfect scenic view for its guests. This 5-star hotel features an 18-hole golf course, a swimming pool, and the countryside view from its rooms. Guests also dine in its spacious and stylish restaurant which serves international and traditional Irish cuisines. In the afternoon, Amber lounge and The Spike Bar are available for tea or cocktail. Fota Wildlife Park, Ireland’s largest wildlife park, is also nearby. Rooms start at $163 to $224 per night. Looking for a top-rated hotel in Cork? Metropole Hotel has a variety of rooms you can select from budget double rooms to executive double rooms. This 4-star hotel is located in the heart of Cork City– close to many excellent shops, galleries, boutiques, and galleries. Guests can select from the 98 beautifully decorated bedrooms. Gym access, an indoor pool, sauna, and a hot tub can also be accessed by the guests. The Riverview Restaurant has doors opened for the Metropole Hotel guests too. A room in the Metropole Hotel starts at $300 per night.